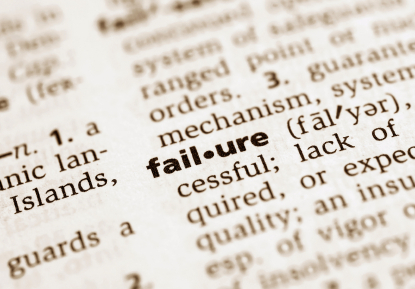 BABY FOOD FOR CREATIVES: What's Failure To You? 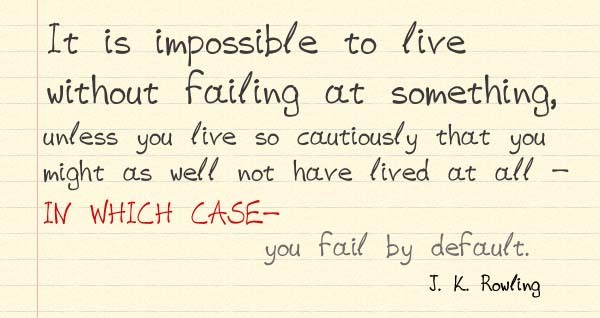 Failure is all about how you define it. Making a mistake isn't failing. Having a wrong answer isn't either. Nor is getting your idea shot down. Of the Dictionary.com definitions "nonperformance of something required or expected" resonates most with me. 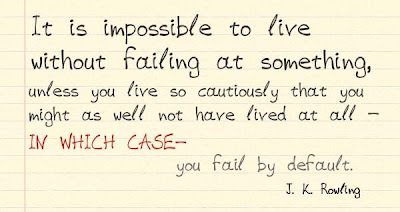 Failure is not trying. Not changing. Not progressing. I write about failure a lot because as creatives, we put so much of ourselves into our work that it's hard to separate yourself what you've done isn't well received. Remember: Just because this particular idea/execution may not be right doesn't mean there's anything wrong with you.